An as-yet-unnamed Asus tablet has just been spotted on a FCC listing, and might arrive in variations running Android, Windows and both. We know that Asus loves a bit of transformation in its devices and this new listing, spotted by Engadget, shows that the passion hasn't died out. According to what we're seeing, there will be nine variants of the device in total – three Windows only, three Android only and three dual OS. Aside from that, there's not much else to see here. Asus recently packed Android and Windows 8 into its Transformer Book Trio, however it looks like this new filing is for a tablet-only device. 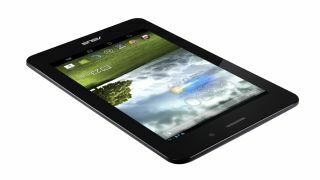 With CES 2014 just around the corner, it wouldn't surprise us to see Asus include the new tablets in its usual splurge of Las Vegas announcements.